Star Wars Jedi: Fallen Order is Respawn Entertainment's next big game. Since its reveal at E3 2018, little information was provided, until now. We got one image. This image was revealed ahead of its Saturday reveal. The image seems to feature the broken hilt of a lightsaber with the caption “Don’t stand out”. 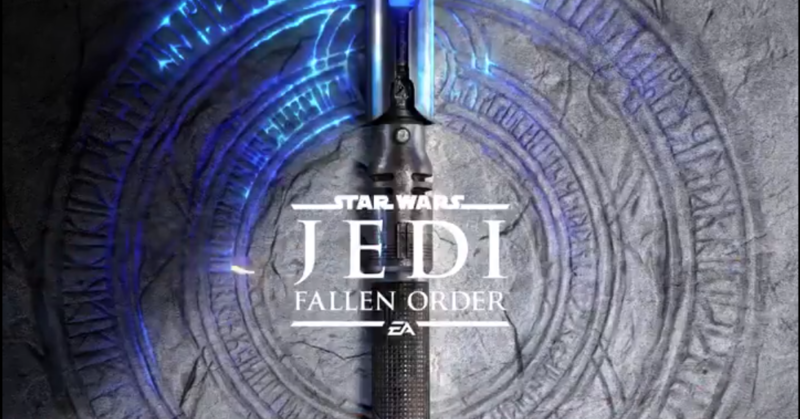 Seeing that the name is “Fallen Order” coupled with the caption we assume it's a Jedi’s lightsaber and the survivors are now in hiding. Hence “Don’t stand out”. We’ll surely find out this April 13th at 2:30 EST on the EA Star Wars Twitch channel.